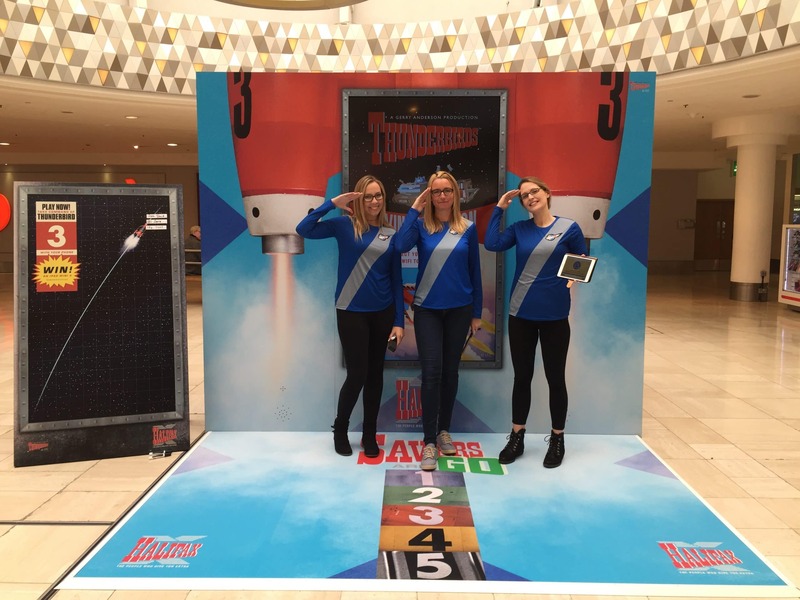 Halifax wanted to engage and educate customers about its savings and rewards in a fun and ‘un-bank’ manner, that would boost a feel-good view of the brand while brightening people’s day. 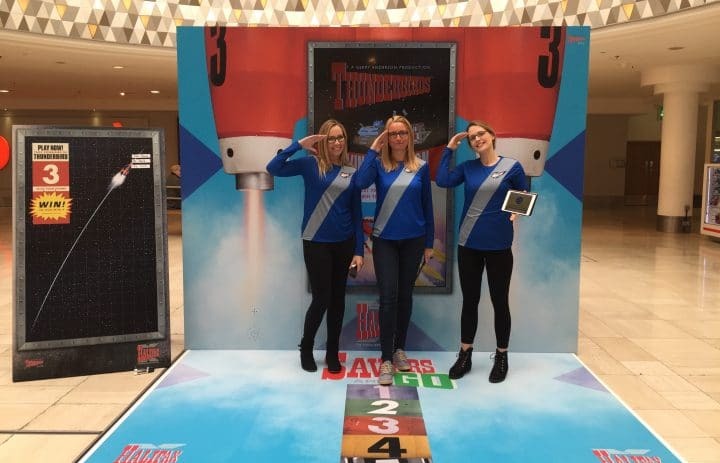 To tie in with the latest Halifax advertising campaign, which features characters from the classic series Thunderbirds, a themed digital game experience was created to engage costumers and encourage conversations with the bank’s representatives. 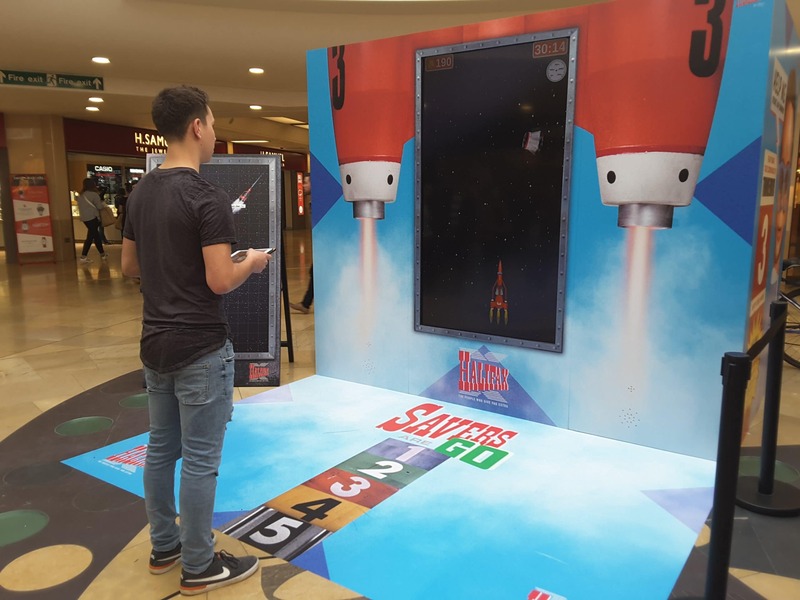 Ambient created and delivered the bespoke activation which hosted the games on a 80″ built-in screen. 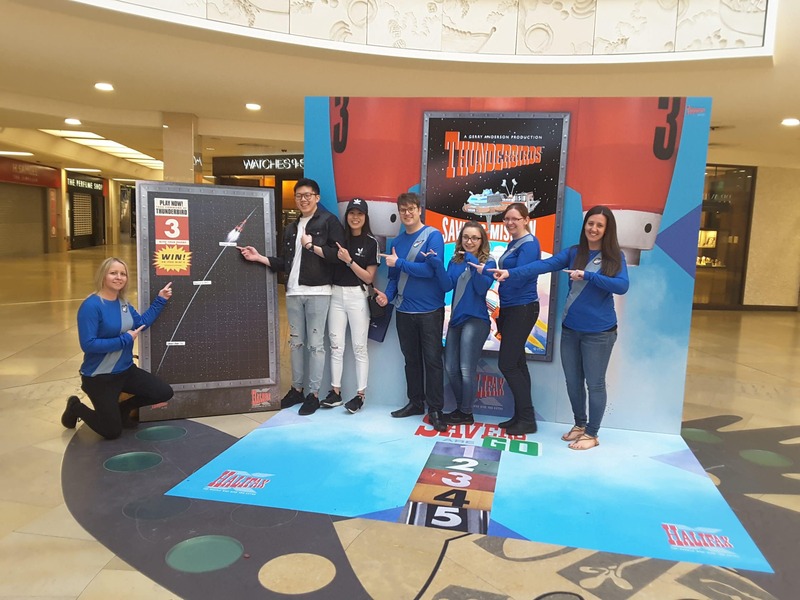 The brand activation was toured to six major, national shopping centres and participants were challenged to collect gold coins while avoiding a number of challenges. 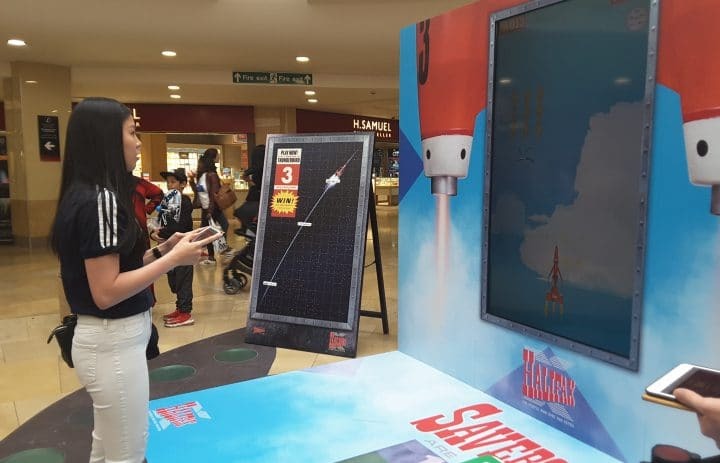 Each day the top players were displayed on a central scoreboard and entered into a competition to win an iPad Mini. 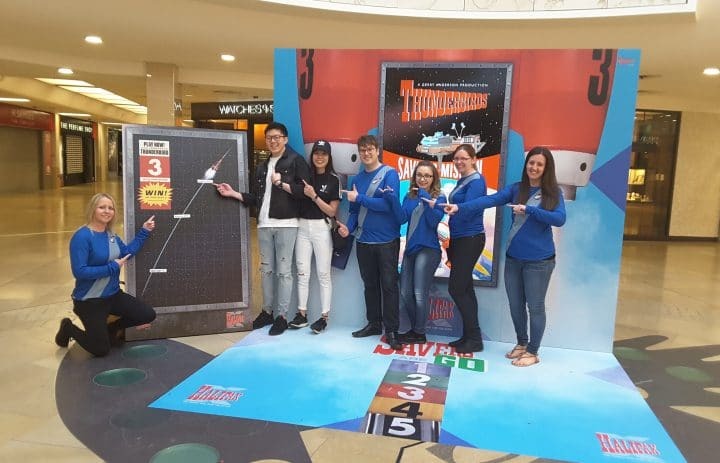 All players also received a Thunderbirds key ring. 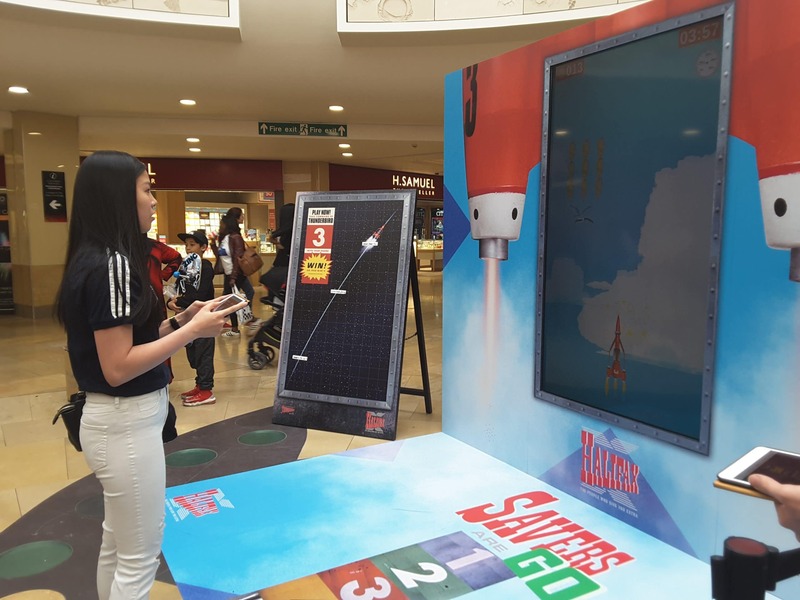 The campaign took place over nine days, visiting six shopping centres across England and Wales. 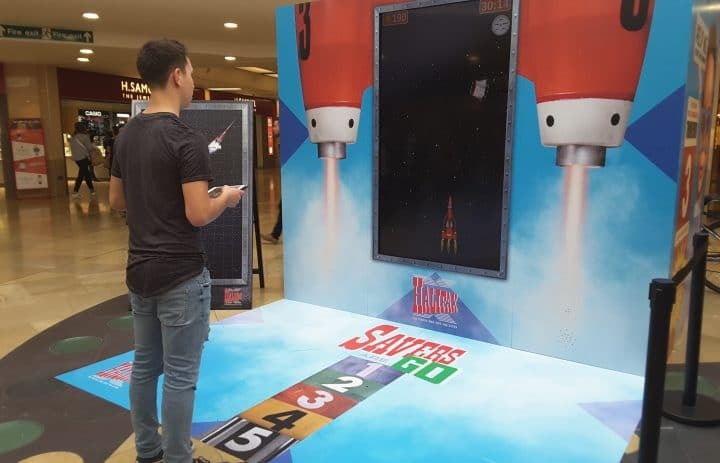 Nearly 2,700 consumer engaged in the gaming experience with a majority of participants being new customers to Halifax.